Cadco PVC wall and ceiling panelling provides a smooth, decorative, waterproof wall covering for new and existing interior walls in homes, offices and industrial applications. 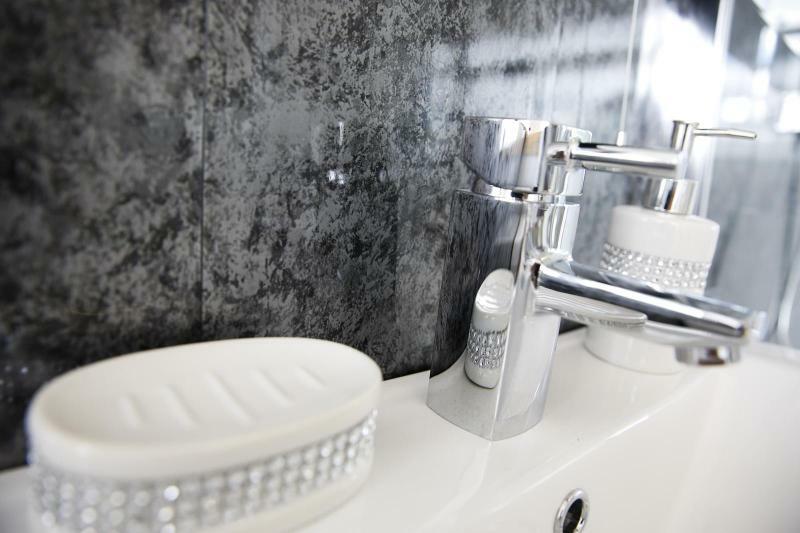 Our Decorative wall panels are 100% waterproof and are available in myriad textures and designs, and they can help you to quickly and affordably update your bathroom, office or home. The panels are easy to fit and you will hardly be able to believe the difference possible with only a few small changes; wall panels can truly renovate your space. Our panels are grout and lead free, Class 1 fire rated and tongue in groove design for quick and easy installation. Our panels can be installed over existing tiles, have a wipe clean surface and can help with reducing unsightly condensation.